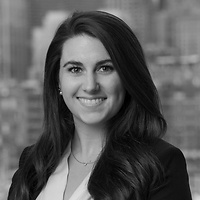 Meghan Kelly, an associate in Nutter’s Corporate and Transaction Department, will speak with Stephanie Kaplan Lewis, co-founder, Her Campus Media on building a business (and brand) from the ground up. She will explore how Stephanie balances her roles as a media mogul and a new-mom and what’s next for Her Campus Media at the Greater Boston Chamber of Commerce’s City Awake: Lunches on Leadership on April 11. Lunches on Leadership are an opportunity to break bread with some of Boston’s most influential leaders. Attendees will gather together to hear a few lessons from someone with a compelling background and an exciting future.